Holding Family Law Judges Accountable, an article on ParentAdvocates.org, discusses the fact that judges often fail to uphold the law, reward criminals, and financially devastate the innocent. Family law courts in the United States are a disgusting and abusive mess. While we can’t blame it all on the judges as many problems are caused by lying litigants, the judges are ultimately responsible for most of the problems. They should be upholding the law, ensuring that people’s rights are not violated, and requiring reasonable proof of allegations before they are acted upon. But in the United States today, that’s not the function of family law judges. their failure to punish perjury results in massive increases in court hearings. It also results in far more complicated cases in which innocent parties who are being truthful are abused by lying litigants with the assistance of incompetent judges. And all of this adds up to spiraling legal costs which often don’t end until after all of the marital assets are depleted. Indeed. 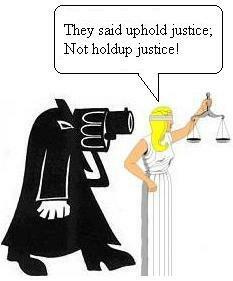 The failure of judges to do their job is the main reason corruption is so prevalent in the courtroom. In my case it was pretty clear that Spring was making perjurous statements which the judge could have easily determined just by talking to them - something I asked the judge to do several times but Spring always objected. And in the case of fraud committed by Spring and her lawyer Nelly Wince, the evidence is simply unquestionable. Yes, litigants often lie. Yes, lawyers often lie. Yes, fraud is common in family court. But the reason this happens is that it works. It is an effective strategy and one that carried little risk of being punished.